In 1955，a high school all-star baseball team toured to Hawaii for the first time preceded by the visit of Hawaii all-stars to Japan in 1953. Thereafter, the mutual exchanges of every two years lasted for 58 years till 2011. Japanese-American veterans of the 442 Regimental Combat Team of WWII in Hawaii contributed to improve post-war U.S-Japan relationship by inviting Sumo wrestlers or singers from Japan. 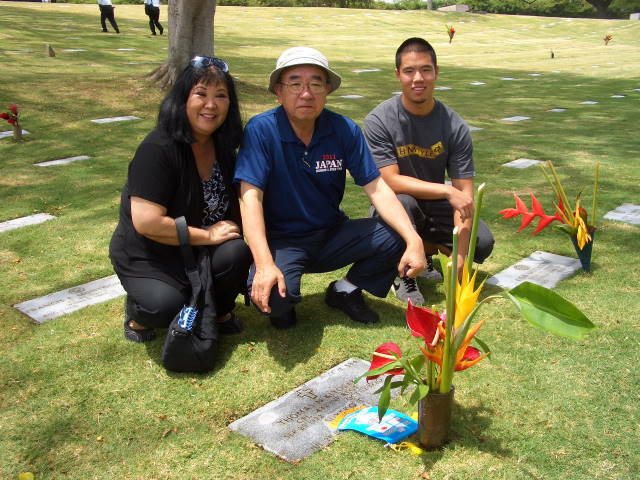 One of the veterans was late Mr. Tom KIYOSAKI, then State Athletic Director of Hawaii, who had a deep bullet wound in the leg. Mr. KIYOSAKI played a leading role in organizing dedicated group of host families to look after the Japanese high school baseball teams. Kazuyuki MATSUI, manager of the first Team Japan, remembers to have negotiated overweight allowance with the Japan Air Lines because his team members wanted to bring back tons of sugar as souvenir which was in short supply in Japan immediately after the war. It was in 1983 when I accompanied Team Japan for the first time, after PL Gakuen High School won the 65th National Championship and toured to the U.S. for 2 weeks from San Francisco, to Sacramento and finally to Hawaii. On the mainland, each American host family accepted 2 players but found the communication was a big issue because none of the players understood English. In fact, one of the host families came back to me with the players to know whether they wished to have dinner before or after taking the shower. Pitcher Masumi KUWATA who subsequently played with Tokyo Yomiuri Giants and Pittsburg Pirates was a member as a freshman of PL Gakuen High School. On my recent meeting with him, he told me that his first trip to the U.S. served as a trigger to learn to speak English and impressed me with his fluent English. Host families in Los Angeles for the following tours have been taken care by the Japanese residents. Mr. Kazutaka KISHITA who live permanently in L.A. was the principal organizer to make the visits most enjoyable to the players. I was invited to attend wedding ceremony of a former national team player last month and was pleasantly surprised to find a couple of his host family in L.A. among the guests, which should have been a memory of his lifetime. Most of the likeable old men have passed away. My subsequent trips to Hawaii have always taken me to visit the Punchbowl (The National Memorial Cemetery of the Pacific), a resting place for soldiers.